Noble Park is a suburb of Melbourne, Victoria, Australia. Located 25 km south-east of Melbourne’s Central Business District. Noble Park has a mixture of residential, commercial and industrial zones and is home to a highly multicultural population. Noble Park has a large number of River Red Gum trees and largest water slide located at the Noble Park Swim Centre. Also offers beautifully constructed houses, spacious buildings, shopping outlets, and sumptuous eating joints. 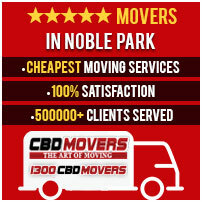 We at CBD Movers too want to do our bit for this beautiful community. Hire us for your relocation needs. We ensure to make your removal perfect and easygoing in every aspect. Needless to say, we are reliable and safe and offer removal services at the cheapest rates. To know more about our superior removal services call us at 1300 223 668. We’ll be happy to help!